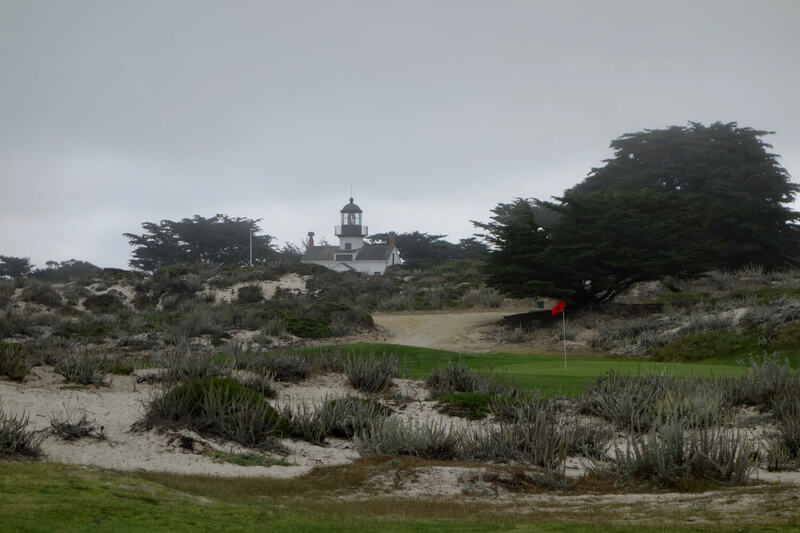 In 2019, Pebble Beach Golf Links will celebrate its 100th birthday and host its sixth U.S. Open. To commemorate these milestones, each issue of LINKS Magazine and LINKSdigital between now and then will tell the unique story that is Pebble Beach. 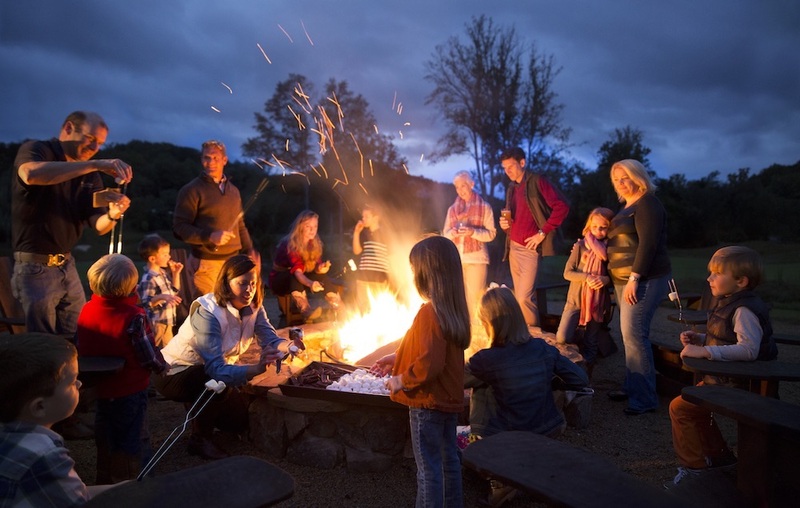 Five miles from the Pebble Beach Golf Links and its iconic Lodge sit The Inn and Links at Spanish Bay. This November marks the 31st anniversary of the opening of The Inn and Links, and while far younger than its elders at Pebble Beach, both the Spanish Bay golf course and accommodations have stories to tell. The Links at Spanish Bay was a collaboration of three golf aficionados, who created something special on a stretch of land edging the Pacific Ocean. Leading the team was architect Robert Trent Jones Jr. He enlisted Tom Watson—who’d already won the 1982 U.S. Open at Pebble Beach as well as five Open Championships—and Frank “Sandy” Tatum, a San Francisco lawyer, top amateur golfer, and former president of the USGA. Together, they wanted to do something different, something memorable, something Scottish. 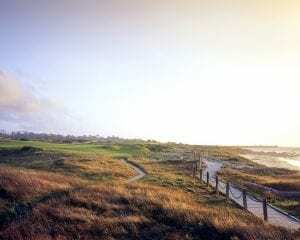 As the course was being built, so was The Inn at Spanish Bay, a modern marvel adjacent to the throwback links. Inside the low-rise building are six restaurants and lounges, with offerings from fine northern Italian cuisine to more casual dining, a wine bar and shop, and a sports bar. There’s also 14,000 square feet of meeting space as well as a swimming pool, fitness facilities, eight tennis courts, whirlpool, sauna, and steam room by way of the hotel’s Spanish Bay Club, and a retail arcade featuring a variety of golf and lifestyle apparel, accessories, and souvenirs. As part of recent renovations to all three hotels at Pebble Beach Resorts in anticipation of the 2019 U.S. Open and Pebble Beach Centennial Celebration, the Inn’s 252 guest rooms and 17 suites, most featuring gas fireplaces, were redone with a contemporary, coastal California look that includes new window walls showcasing expansive views of the ocean, golf course, and forest. Rooms also have new furniture and accessories, a new desk and minibar space, and state-of-the-art technology including 55-inch flat-screen TVs. Most of the rooms also have a private patio or balcony, making The Inn an idyllic retreat in one of the world’s most spectacular settings.